"Dog goes woof. Cat goes meow. Bird goes tweet, and mouse goes squeak." Such are the first lines of divine wisdom imparted by "The Fox," a song by the Norwegian variety act Ylvis that was released this week and has since gone viral. But what noise does the titular animal make? Here, Ylvis takes some liberties as to "what the fox say." Some of the noises are difficult to transcribe, but they include "wa-pa-pa-pa-pa-pa-pow!" and "fraka-kaka-kaka-kaka-kow!" Red foxes (Vulpes vulpes), the most common foxes throughout the world, have a wide variety of vocalizations, with as many as 20 different calls depending on how one defines them, said Stephen Harris, a biologist at the University of Bristol, England, who has studied their vocalizations. They use these calls to find mates, interact with rivals and communicate within their family groups. This variety befits their role as highly social mammals, Harris told LiveScience. The loudest and most prominent sound made by foxes is the scream or contact call, typically used by vixens, or females, when they are ready to breed in the late winter and spring, Harris told LiveScience. This "blood-curdling" call "sounds a bit like somebody being murdered," he said. The call is designed to travel long distances and summon suitors. "They are looking for the best fox to mate with," Harris said. The "scream" can also be used by males, and by females at other times, though. One time in the 1970s, Harris tracked a fox through a cemetery, and lost track of the animal. It was a very dark and cold night. All of a sudden, "a vixen came down about 5 feet [1.5 meters] behind me and screamed in a very loud voice — I leapt straight out of my skin," he said. Foxes also commonly bark, which is generally used as another type of contact call to reach out to friends or rivals, Harris said. The bark sounds similar to that of a dog, except slightly higher-pitched and sometimes shrill. 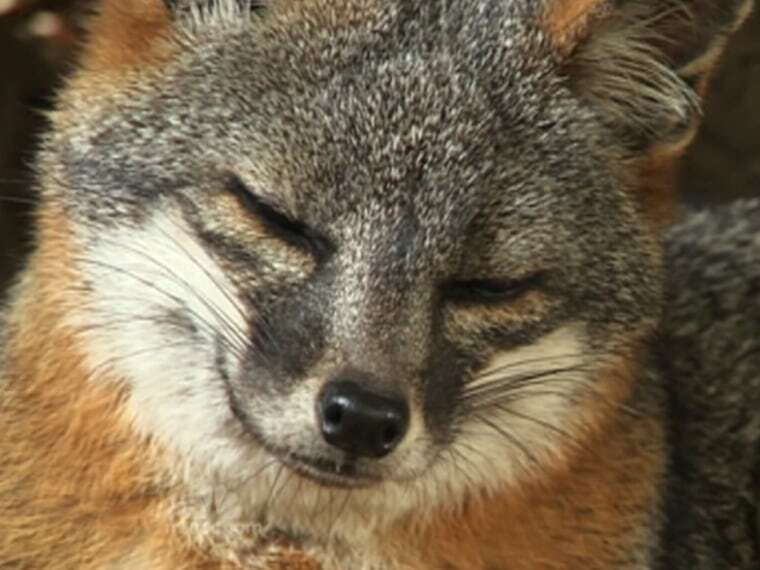 Studies on other species of foxes show that the animals can recognize each other based on their calls, which isn't that surprising, Harris added. The animals also emit a wide variety of whines and squeals that have different meanings that can change based on the context and the fox's body language. For example, squeals can be used to show that one fox is submitting to another. But foxes also squeal when they are excited, Harris said. Perhaps this is the fox version of "squee." In addition to growling, foxes can also make a guttural sound in the back of their throat called "clicketing," which generally happens during the mating season, Harris said. "We don't know quite what it means," he added. As the song notes, the characteristic sounds of other animals are better known, or at least codified in a recognizable form of onomatopoeia like "woof" or "meow." But why aren't fox calls better known? The difficulty of putting fox sounds into words is certainly one obvious reason. It isn't exactly easy to describe a scream, for example. But here's an attempt: "WRAHHHHHGH!!!!" Foxes are wild animals as well and haven't been successfully domesticated in the same way as dogs were from wolves, making them less familiar to earlier humans who first made up the words to describe the sounds made by other animals. "If you follow an individual fox around at night, most nights the foxes won't make a call at all, or it'll be very soft," Harris said. "Foxes are moderately quiet animals." Finally, despite having a variety of vocalizations, foxes communicate even more with scents, and don't make noises that often.